St. Philippine came to America with the desire to teach the Native Americans. She initiated her efforts by opening the first school west of the Mississippi in St Charles, MO. After decades of struggles and successes in other arenas, she finally achieved her goal by settling with the Potawatomi in Sugar Creek, KS. A shrine exists in nearby Mound City to celebrate life with the Potawatomis. This is a starting point for a pilgrim route to her tomb at the shrine collocated with the school in St. Charles, a walking distance of 335 miles. The act of pilgrimage provides an intangible access through time and space of an experience unique to each pilgrim. Because of this and with such an inclusive definition, there are a myriad of types of pilgrims out there – touristic pilgrims, seeking pilgrims, bus pilgrims, armchair pilgrims, adventure pilgrims, group pilgrims, lone pilgrims, pampered pilgrims and evermore comfort-loving posh pilgrims. Many North Americans fly to Spain to walk the Camino de Santiago de Compostela adhering to a more or less traditional method of spending the days walking with a minimum of personal possessions and passing the nights in simple pilgrim accommodation in churches or inns carrying a pilgrim credential that is validated each night by the host. This method has been used throughout Christendom for more than a millennium, and applies equally to anyone making a pilgrimage to a shrine in Missouri. This pilgrim route is depicted in the interactive map, with details for each stage provided. Beginning at Mound City, each of the 26 stages represents a day’s walk and offers some type of pilgrim accommodation. St Philippine herself never walked this route – she traveled by riverboat between St Charles and Kansas City and overland to and from the Sugar Creek settlement (Mound City); however, the convenience of the Katy Trail that follows the former train line built after St Philippine returned to St Charles provides an interesting, stress-free and enjoyable route for a pilgrimage with enticing landscapes and conveniently spaced interim destinations. In spring 2017, three pilgrims set out from Mound City on pilgrimage to celebrate the life and times of St Rose Philippine in Kansas and Missouri. This route, tested and demonstrated, averages 13 miles per day – a half-marathon distance. The greatest distance in a single day is 17 miles, with one day 19 miles if there in seasons of high water. Each night there is at least a church or community hall for accommodation, and in some cases, hotels and/or bed-and-breakfasts are additionally available. Experience from one of the exploratory pilgrims who used a step counter routinely measured between 30,000 and 40,000 steps during the course of the entire day. For reassurance, car services (e.g., Uber, taxi, friendly farmers) are not far away from any point on the trail. For pilgrims who don’t have 26 days available and would be interested in a shorter pilgrimage, the trail can be joined at any point, with two place – Sedalia and Jefferson CIty – served by an Amtrak line connecting St Louis and Kansas City. Readiness for a successful pilgrimage requires three elements: conversion of the heart, by making a commitment focused on the pilgrimage sufficient to carry the pilgrim through difficult patches; sacrifice, such as in comfort, access, and personal desires during the pilgrimage; and an openness to transformation, allowing the spirit take hold. The pilgrim paradigm, like on the Camino de Santiago, involves walking during the day from one interim destination to the next, toward the shrine destination. Pilgrims carry their necessities on their back – there is no sag wagon. Minimizing their luggage includes wearing one set of clothes and carrying another set, washing first layers by hand every night. Walking is typically alone or with another, but not as an escorted cluster. Pilgrims have to make the point of knowing the day’s goal and how to get there; along this route, navigation should not be difficult for anyone. Pilgrims can carry mobile phones, but experience demonstrated that the route has service areas and dead spots for the major US service providers (AT&T, T-Mobile, Verizon, Sprint…). All of the hosts identified in the details page have hosted the three pilgrims in 2017 and will have an understanding of the standard pilgrim needs. On nights where the stage ends and there are no amenities available, such as restaurants or convenience stores, arrangements are made in advance for dinner and breakfast and/or make the kitchen available. Churches are not hotels, so accommodation is generally space in the parish hall where pilgrims can roll out their own bedding and sleep indoors. There’s little privacy and many of these halls do not have showers. Accommodation in this style is as old as the pilgrim tradition. The cost for this is a free-will donation. Other towns have hotels or B&Bs at various luxury levels. Similarly, some of the stages have no restaurants or convenience stores and arrangements are made with the host parish or community hall in advance; again, the cost is free-will donation. Everyone is encouraged to make this pilgrimage, the information needed to do so, independently or with a small group is below. Additionally, the religious community of St. Rose Philippine Duchesne is celebrating the bicentennial of her arrival in this country in 2018. Two pilgrimages are being organized, each coordinated with other events during the bicentennial. More information about both are provided below. To register for the Fall 2018 pilgrimage fill out this form. This map shows the 26 stages and 335 miles between Mound City, KS (Sugar Creek) and the Shrine of St. Rose Philippine Duchesne in St Charles, MO. To use the pilgrim credential is to maintain the age-old tradition. A credential has been designed specifically for the St Philippine Pilgrimage. Of course, it’s function can be replicated by other creative means. It should be small and lightweight and serviceable as a record of passage. When arriving at a church, inn, or family home, present the pilgrim credential and request a stamp, seal, or signature with the date and town recorded to certify the passage. The download document is double-sided and sized to be printed on legal-sized cardstock. It can be resized to fit letter-sized cardstock. Two credentials are printed on one double-sided page. The printed page should be cut along the long length and folded accordion style. 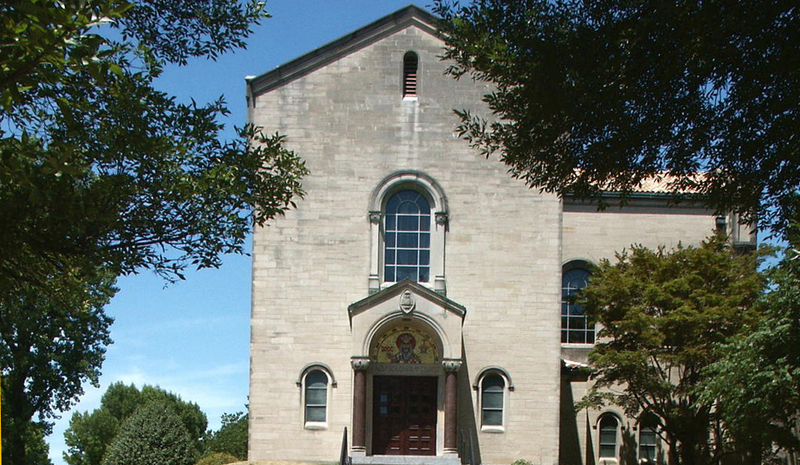 Individuals or small groups who would like to participate in a pilgrimage that is organized and accompanied by experienced pilgrims are invited to register with a pilgrimage that begins at the shrine church in Mound City on Tuesday, October 23th, 2018 and should arrive at the Cathedral Basilica of Saint Louis on Saturday, November 17th, 2018. The arrival in St Louis is coordinated with the bicentennial events scheduled at the Cathedral for the November 18th Feast Day of St Rose Philippine Duchesne. There is no obligation for pilgrims to participate in any events, but the atmosphere is sure to be festive. Experienced pilgrims with the Society of Servant Pilgrims will participate in the pilgrimage and make arrangements with parishes and communities along the way to ensure that basic accommodation and meals are available every night. Any pilgrims who would prefer commercial accommodations where available must make their own reservations in those instances. Pilgrims will be briefed on the options for the day’s route. The route is generally quite flat, and once the Katy Trail is met in Clinton, has a superb walking surface. The group will assemble in Mound City on the evening of Tuesday, October 23, 2018, the walking begins on Wednesday, October 24th. Pilgrims can join from the beginning or at any point along the way. The pilgrim group will reach Sedalia on the evening of October 31st, which is an easy alternative starting point because of the Amtrak access. Similarly, the group will reach Jefferson City on the evening of November 8th, which has another Amtrak station. The number of pilgrims is not fixed but shouldn’t overwhelm the host facilities. Beginning at Mound City, a combined group no larger than maybe 12 or 15 would be an appropriate size. Anticipating that additional pilgrims will be gathering the group toward St Louis, arriving with a group of 20 to 30 would be manageable. Pilgrims are responsible for themselves in every respect and in acquiring their own equipment. The Society of Servant Pilgrims will share camaraderie and encouragement and communicate with the parish and community hosts on behalf of the group rather than have each pilgrim contact them individually. Pilgrims can join or leave the pilgrimage at any point along the route. In some instances, there may be opportunities to attend religious services. There is no pressure for any pilgrim to participate. In situations with no restaurants where pilgrims can eat dinner and breakfast individually, arrangements might be available for parishes to provide meals, or pilgrims would be expected to contribute to a communal meal. In general, lunches are prepared in advance and eaten on the trail. There are many days without midday opportunities to purchase food. Information about each day’s destination and route can be viewed in the interactive map at the top of this page as well as the summary chart at the top this section. Our Spring 2018 Pilgrimage was a huge success. View photos of our journey here and here on the Society of the Sacred Heart Facebook page as well as read the articles published about the journey at the end of this web page. “First, why should one do Any pilgrimage. · Because you can. Many cannot. Praise God by walking – using the physical and spiritual gifts He has blessed you with. · Because THIS opportunity will never come by again for you. Others perhaps, not this. · Because every pilgrimage involves hours and hours each day walking, mostly alone with your thoughts and with your God (or Spirit or whatever you think). Those hours are precious, and as the days mount they become more precious, healing, meaningful. You cannot find this in your normal routine, not even in your coffee shop or athletic club. · Because it is in memory and honor of St Rose – a very special human being. · Because the terrain between Mound City, KA and St. Charles, MO is stunningly beautiful and peaceful – and mostly flat. · Because the people you will meet along the way are wonderful human beings – gracious, loving, caring and always trying to help. also a bit of a tourist magnet, which adds a different dimension to the experience. beginning, hundreds of years ago. There will be You, the Trail (Camino), and the people you meet. Plus the people you walk with. A very simple, satisfying pilgrim life. Though every day is different, each one begins too early, involves a cheery breakfast with your companions, lacing up the boots and lifting the pack onto your shoulders, then out the door for another day’s adventure. By bedtime, you will have had precious encounters with people along the way, with birds and turtles and small garden snakes. Perhaps a deer, raccoon or owl. Countless trees, bushes, frogs. “If you feel the faintest attraction for (or even a vague interest in) pilgrimage undertaken the traditional way afoot, I strongly urge you to learn the essential details of the SRPD bicentennial pilgrimage, and then, without procrastination, make a firm commitment within days to do it. Once you decide, you might even want to tell a few close friends or family members to help you firm up your commitment and begin to think of yourself in the months ahead as a pilgrim-in-waiting, a pilgrim-in-preparation. For first-time pilgrims, and even some experienced pilgrims, there likely will pop into mind many excuses (and some valid reasons no doubt) for not making the pilgrimage.But if you have made a firm commitment in advance of that first actual pilgrim step, most negative thoughts, fears and hesitations will begin to fade. If you feel the call to do it and are in normal health, you better have some good reasons for not doing it because it is the opportunity of a lifetime to follow in the footsteps of and learn from Ann Sieben, the Winter Pilgrim, who without doubt is the wisest and most devoted pilgrim of our time–or any other era for that matter. And compassionate with fellow and sister pilgrims in training. During the weeks before Roscoe Hill and I joined Ann Sieben for the 25-day pilgrimage April 24-May 18 2017 from Mound City, KS, to St. Charles, MO, to help Ann plan for the pilgrimages next year, my soul-searching as a rookie pilgrim about making this pilgrimage began to center around whether I could muster enough trust. First of all, trusting that the call I was feeling to make this pilgrimage was genuinely from God. Was a gift from God, actually, and would come with sufficient grace to respond. Of course, I didn’t and couldn’t know that with certainty, and neither likely will you if you make the pilgrimage. That I was trusting a call from God was only confirmed when the pilgrimage was completed. Secondly, did I have enough trust in Ann Sieben to plan and lead a relatively long pilgrimage that would provide opportunities for personal spiritual growth for a rank rookie pilgrim like myself? Yes, and just a few days with Ann afoot quickly proved that was a well-placed trust, indeed. Thirdly, did I trust myself to handle (without making a pest of myself to fellow pilgrims and hosts who housed us each night) whatever pains, inconveniences and uncertainties the radical, if temporary, lifestyle changes a walking pilgrimage would bring? I had my doubts. But I managed somehow without badly embarrassing myself, so I guess my trust wasn’t completely misplaced. And finally, did I trust that something as simple as walking six or seven hours a day in the countryside would be a personally satisfying, even joyful, experience, fostering a sense of peace and well-being and bonding with the good earth and all that is in it and on it? And yes, it turned out to be even more satisfying and peaceful than I could have hoped. So that also was a trust well-placed and well-warded.